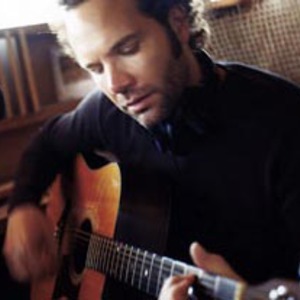 Five for Fighting is the stage name of U.S. singer-songwriter John Ondrasik. His 2000 album America Town went platinum in the U.S. due to the success of the song "Superman (It's Not Easy)" in late 2001. The 2004 album The Battle For Everything has also enjoyed chart success in the United States. John has also released a DualDisc of his 2004 album which has one side containing The Battle for Everything in its entirety and the other side being a DVD containing bonus footage and the "100 Years" music video. John Ondrasik was born in the San Fernando Valley in Los Angeles. He grew up there in a musical family with his mother teaching him the piano from the age of two. As a teenager, he learned how to play the guitar as well and started to write music. While he also learned to sing opera briefly, he quickly decided that he would like to be a piano playing popular musician along the lines of Elton John and Billy Joel. He adopted the name "Five for Fighting" which is an expression in ice hockey when a player is sent from the rink by the referee for a major penalty. The name was used for the reason that it would be more memorable than his real name. In 1997, his first album Message for Albert was released by EMI. After the success of "America Town," Capitol Records re-released this debut album. In 2000, Five for Fighting signed with Columbia Records and released America Town on September 26, 2000. At first, it made little impact until "Superman (It's Not Easy)" became an anthem after the September 11 attacks. He would perform the song at The Concert for New York City in late 2001. "Superman (It's Not Easy)" started climbing the charts reaching the top 20 of the Billboard Hot 100 and number one on the Billboard Adult Top 40. While America Town failed to make the top 50 of the Billboard 200 album charts, its consistent sales led to it going platinum. Superman (It's Not Easy) was also an international hit reaching number one on a composite adult international chart (based on performance in the U.S., Canada, Germany, France, the United Kingdom and Australia). Second single Easy Tonight would make the top 20 of the world adult chart as well as going top 20 in New Zealand. The third album The Battle for Everything debuted at number 20 on the Billboard 200 in February 2004. Its first single "100 Years" was another top 40 hit on the Billboard Hot 100 and again reached number one on the World Adult Top 40. It also was number one on a composite world airplay chart and top 10 on a composite world modern rock chart. (based on USA, Germany, United Kingdom, Finland, Sweden, Canada and Australia).